Any regulars reading this will know that in my eyes, Anastasia Beverly Hills are BAE and they produce the best eye shadows around. 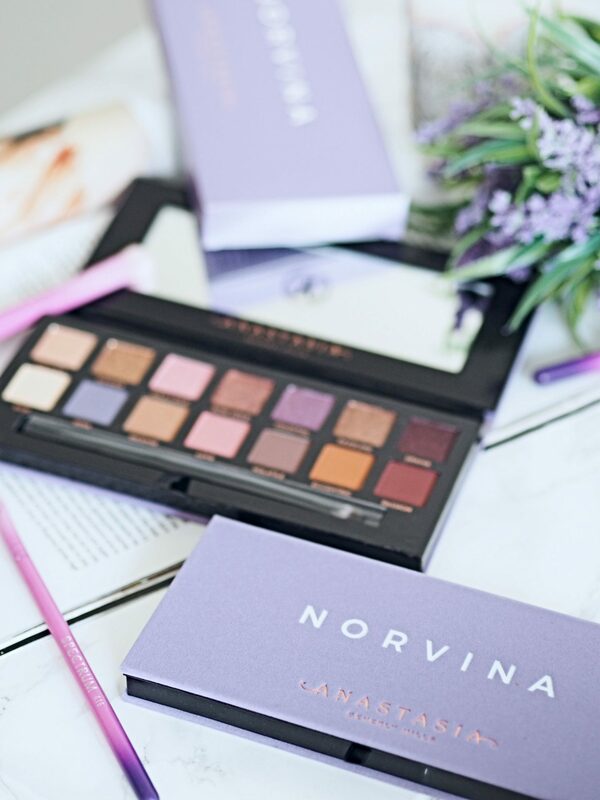 So when Norvina – Anastasia’s Daughter and the brain child behind Anastasia Beverly Hills, announced the self titled “Norvina” palette – I knew I was buying it. No doubt. The last ABH eye shadow launch was Soft Glam which looks utterly beautiful, but I couldn’t justify it when it has so many similar colours as the Modern Renaissance palette, which I already own, and this gal is seriously lacking palette space. Must stop….. soon. 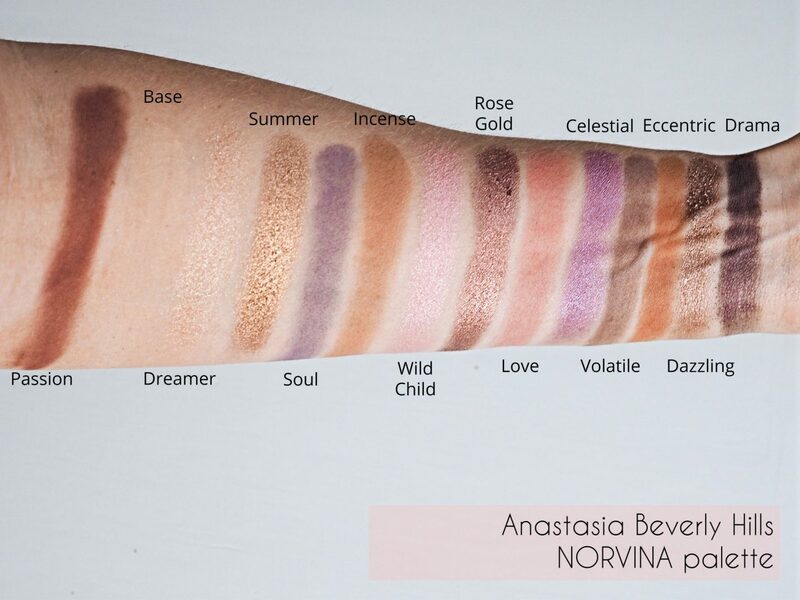 The Anastasia Beverly Hills Norvina palette screams Norvina (if you follow her on IG you’ll know what I mean) and is very different to any of my current ABH palettes so it was an easy decision to make. 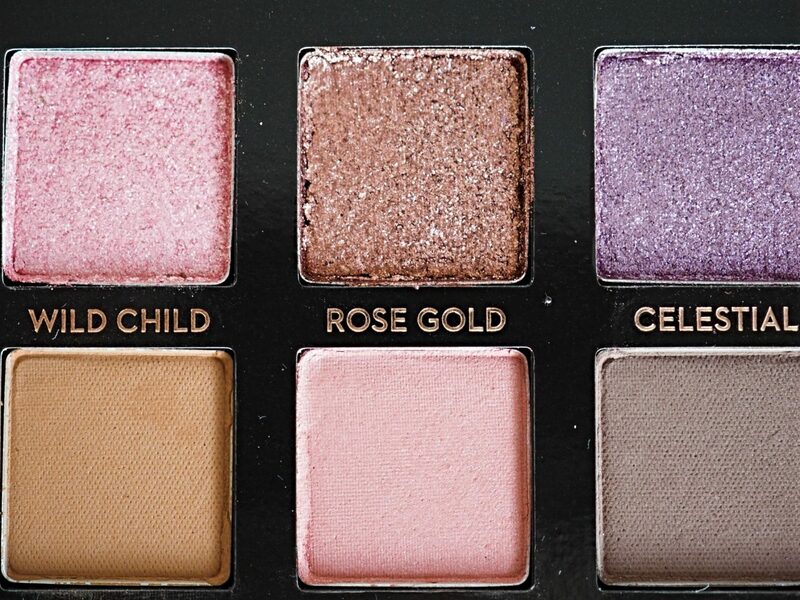 As with the Modern Renaissance, Sub Culture and Soft Glam palettes, the Norvina palette is housed in velvety textured covered case which as I’ve said before is a big mistake. Within a couple of times of using the palette its covered in marks from the eye shadow that you just can’t get rid of. There was so much talk about the textured front when Modern Renaissance first launched that I’m surprised they are still using it. But hey, it’s not a deal breaker is it. 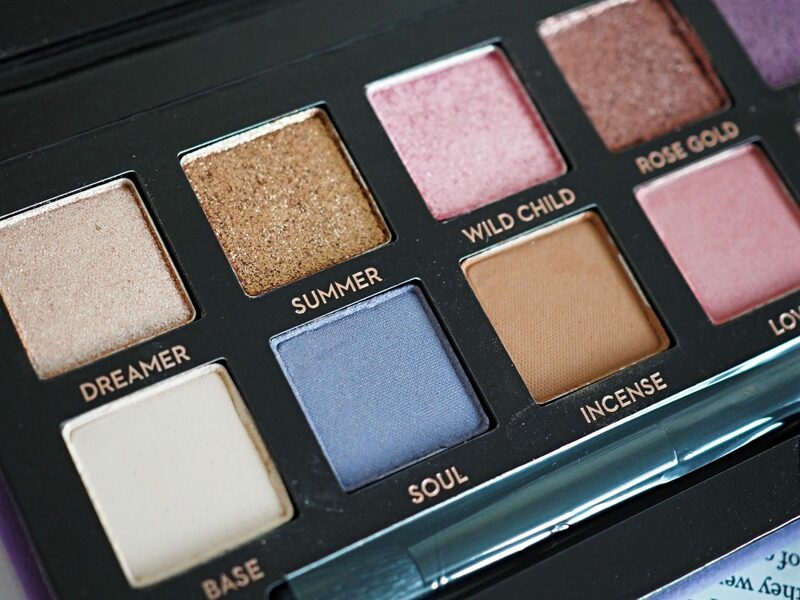 Let’s first talk about the metallic shades in the top row – “Dreamer”, “Summer”, “Wild Child”, “Rose Gold”, “Celestial”, “Dazzling” and “Drama”. WOW! The pigmentation is crazily good. They are so so creamy that they come across as being a bit wet in consistency. Even after being blended these shadows pack some serious shine and sparkle – I promise you the swatches in this post do not do them justice. “Drama” is the only shade which lets the metallics down as I found it to be a tad drier (not as “wet” as the other shades) and not quite as creamy and easy to blend. The metallics look a bit loose in the pan (especially “Summer”, “Rose Gold” and “Dazzling”) and you do get a lot of fall out when using a brush, so assuming you don’t have huge fingers and nails like me, I would suggest using a finger would be a good way to apply these shades to minimise the mess. I’m so so happy that it contains “Base”, as I use off white shades for every look so it’s always a let down if a palette doesn’t have that shade for me. “Base” is a yellow toned version of Tempera from the Modern Renaissance palette and a tad lighter. 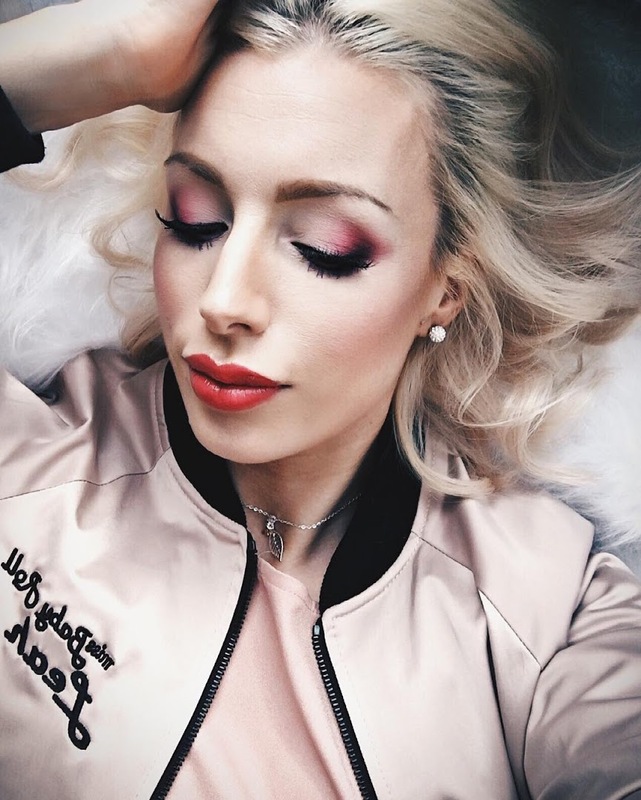 A little bit of advice when it comes to the matte shades – use the tiniest tap into the pan as they are so pigmented that a tiny amount is all you need. You do not need to be swirling your brush about in these colours. As the matte shades are so pigmented they do take quite a bit of blending if you want the more transitional, blended look. You’ll also get a lot of fall out from the mattes so make sure you do your eyes first, before applying any base to your face. I do this every day anyway so it’s not an issue for me. I think the metallics are going to be what pulls people to purchase this palette – especially “Summer”, “Rose Gold”, “Celestial” and “Eccentric” as they are just stunning and are definitely the winning colours. 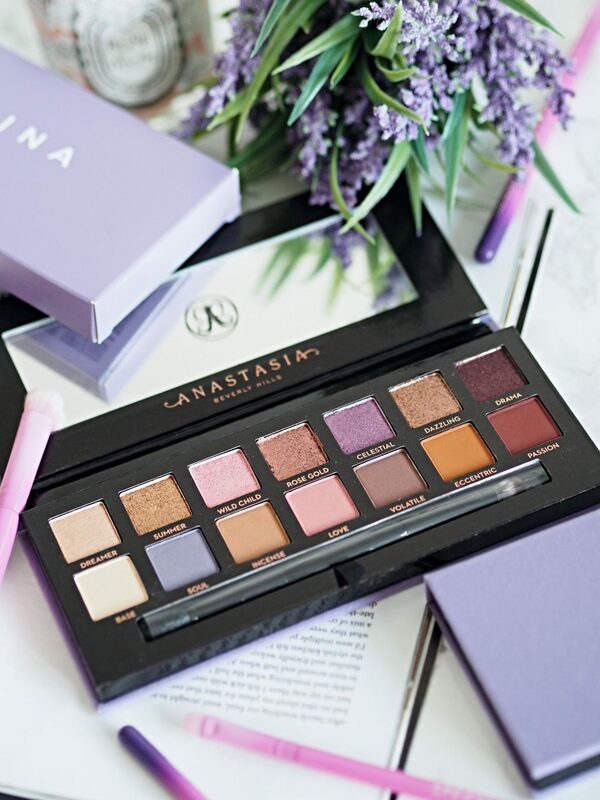 The Anastasia Beverly Hills Norvina palette contains a mirror, which I always find helpful and a blending brush. ABH may be able to make outstanding eye shadows but I’ve never really been a fan of the brushes that come in the palettes, as I find them a bit too big and bristly for my liking. Who cares though – I’m not in it for the brush! 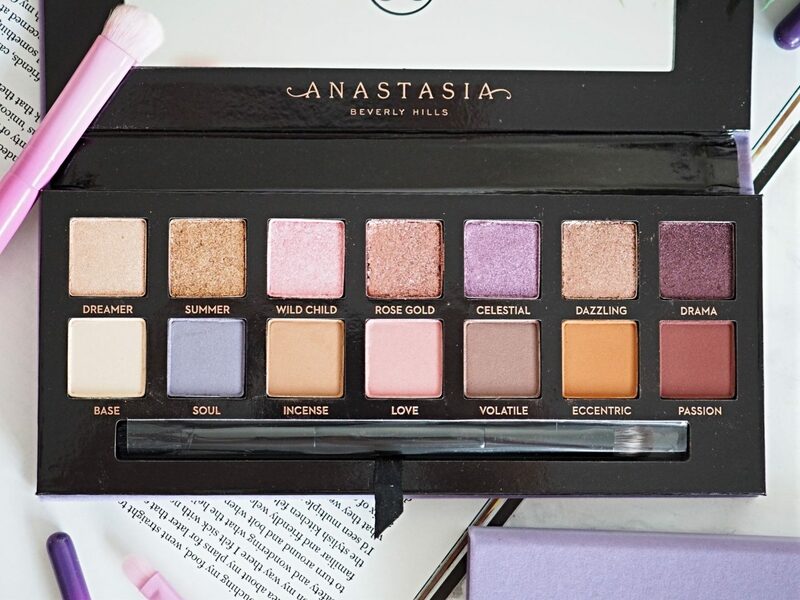 Overall I’m so impressed with the Anastasia Beverly Hills Norvina palette. It’s going to get a lot of use and I can see it being one off Anastasia’s best sellers. You heard it here first! You can buy the Anastasia Beverly Hills Norvina palette here for £43.